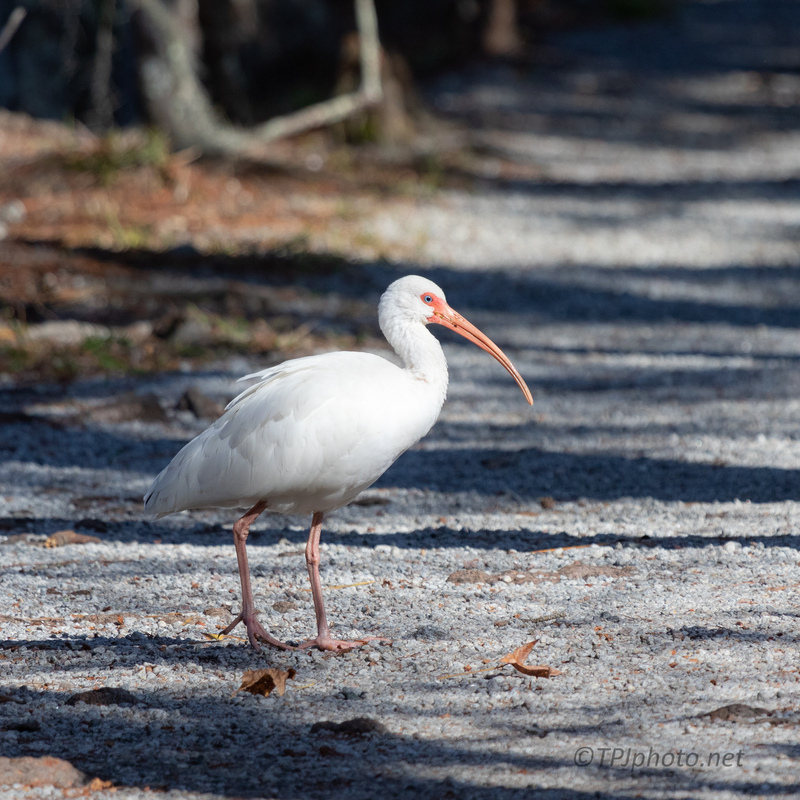 Until you see a White Ibis close you can’t appreciate what striking blue eyes they have. Heck, some people would love to have these eyes. 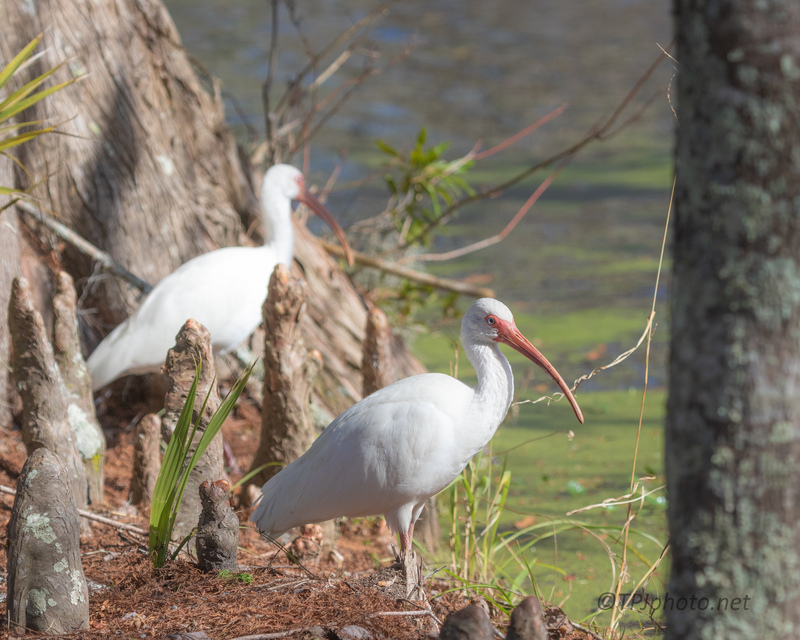 These Ibis were walking along a swamp trail the other day. Swamp on one side, open water on the other. Last year some stayed and nested on an island here. They love to get down in the mud and somehow there is still white feathers. Not always clean, but still white. This is about as close as we get to them here. Shy and don’t need to be near us anyway. Trust me, none of us are going to follow them out in that mud. 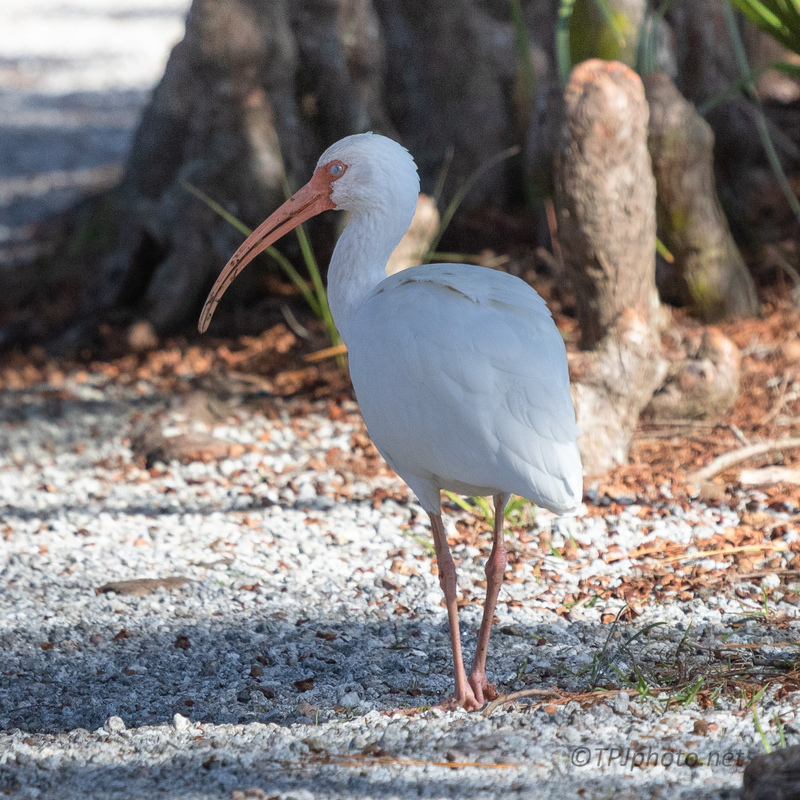 That first ibis shot is stunning Ted! The blue eye is sure amazing.